You may already heard about watching online movies and playing online games etc. When doing so you may sometime wishes to watch online TV. And sometimes when you saw a China Mobile playing TV, Then you may think that why my Nokia can't do so. Well, Now there is a way to do it. Unfortunately, this is not a hacking trick, thus it is not free of charge. 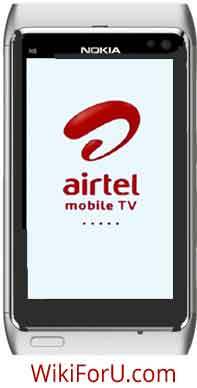 You have to pay if you want to Watch online channels on your Nokia mobile. Till this service is tested on most Nokia phones having Symbian 60 Operating System. You can try it on other phone, but the working of this TV is not granted for other Mobile Phones like Samsung, L.G. etc. Charges = Rupees 10 For One Day. Goto Messages -> Create New Message. Now you will get the application link soon. Create New Message -> Type STOP without any spaces and send it to 121. Now wait for their reply. When you get the message , Find airtel TV and reply with that number.